Skills in learning and studying are vital to ensure success in higher education study, whether at undergraduate or postgraduate level, in university, college or in the workplace. Skills are needed in reflection, analysis, communication and recording information to produce good work, to engage effectively in a group, to carry out a project or perform well in exams; personal skills are needed to handle time and pressure and to relate to others on a course or in the workplace. This new guide builds on the hugely successful materials the authors have developed over the last 15 years. 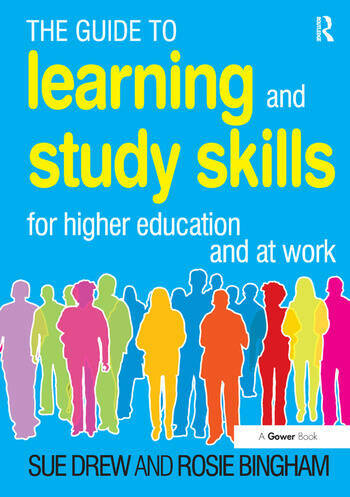 Along with highly practical guidance on traditional learning skills, The Guide to Learning and Study Skills provides direction for students on learning in a blended environment; the increased use of personal and professional development planning, continuing professional development and work-based learning. Contents: Introduction; Writing essays and dissertations; Writing reports; Producing journals and portfolios (including diaries, blogs etc); Giving a presentation, viva or being observed; Doing a project; Succeeding with exams (or tests); Finding, using and analysing information and evidence; Plagiarism and referencing; Making notes; Presenting your work; making it look good; Discussions: face-to-face and on-line (in seminars, groups etc); Working in a group or team; Dealing with other people; Action planning: identifying actions - making recommendations; Handling time and pressure; Solving problems and making decisions; Reflecting on your learning and experience (including feedback); Personal/Professional Development Planning (PDP). Sue Drew's long career in higher education began as an HE careers adviser. She became an educational developer, supporting academic staff in course development and quality review. This work included a focus on embedding key skills in the HE curriculum and developing student skills resources. Most recently she has been a Principal Lecturer in Education, teaching in the Education subject area at undergraduate and postgraduate level (including PhD supervision) and doing educational research. Rosie Bingham is a Senior Lecturer in Academic Practice. She initially worked as a primary school teacher then as an HE lecturer in Education, then became an educational developer, supporting academic colleagues in course planning, development and review. This work included a focus on embedding Personal Development Planning in the HE curriculum and developing students' skills. They are together or separately (sometimes with others) authors of: The Student Skills Guide, Second Edition; Developing Student Support Groups; Key Work Skills; The Student Guide to Making an Oral Presentation CD ROM; Key Skills Online: Intranet Support for Students CD ROM; all published by Gower.